At the Flint Center Theater, the same place where the Mac was first unveiled in 1984, Steve Jobs introduces the original iMac. 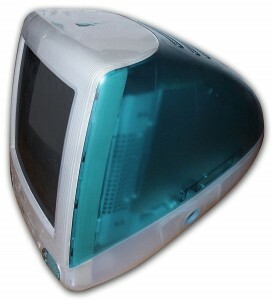 This iMac was later known as the “Bondi Blue”, after the color of its case (named for a beach in Australia). According to Jobs, the iMac is “the Internet-age computer for the rest of us.” Originally slated to be available in ninety days, it will actually be released on August 15th. Apple will book an unprecedented 150,000 orders before its release, marking the beginning of Apple’s renaissance. It also ushered in the era of Apple adding the letter “i” to just about every product it created. But hey, Apple has about $80 billion over $137 billion in cash right now, so who’s arguing?